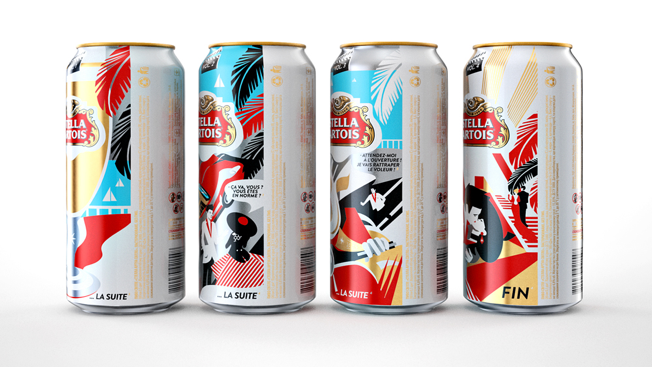 For this year's Cannes Film Festival, BBDO created four limited-edition beer-can designs for Stella Artois. 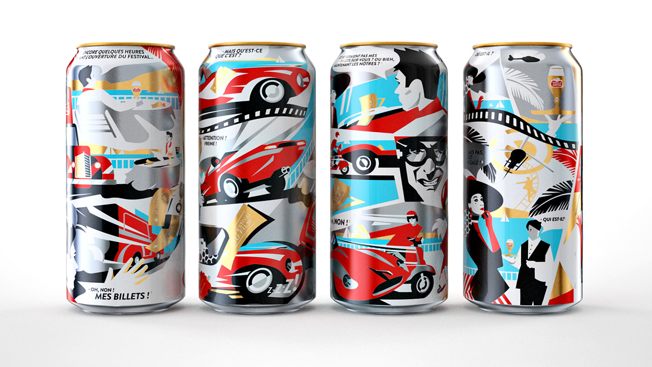 But instead of promoting the brand's values in a traditional way—flashier takes on the logo and the like—the series of cans tell a comic book-style story that takes place on the legendary Croisette. 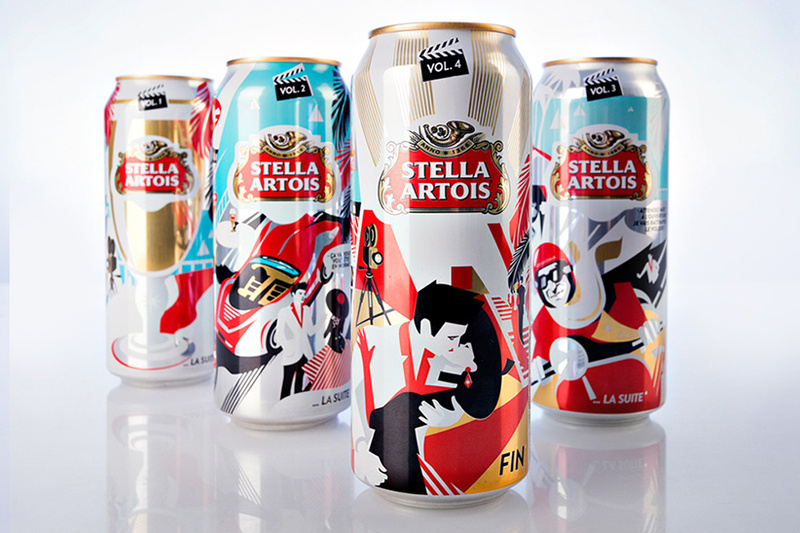 "Story is what Stella Artois stands for," says Denis Keleberdenko, creative group head at BBDO Kiev in Ukraine. 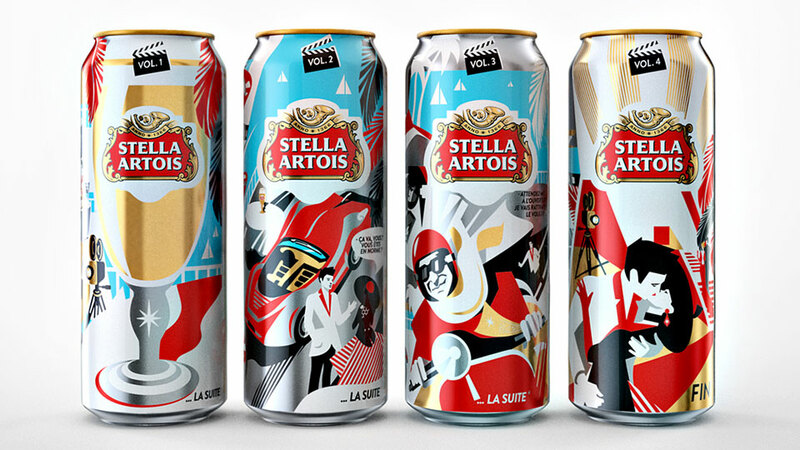 "And traditionally Stella Artois supports the Cannes Film Festival, so we show a story that happens in Cannes, in four parts, for each can. There's accidents, unexpected twists, a chase, drama, a beautiful woman, a kiss at the end and even a helicopter! 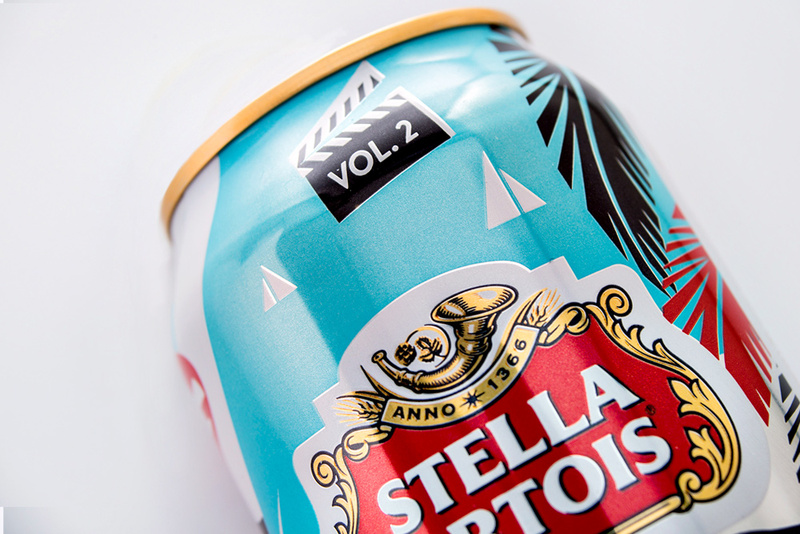 It's almost a film on cans, actually." 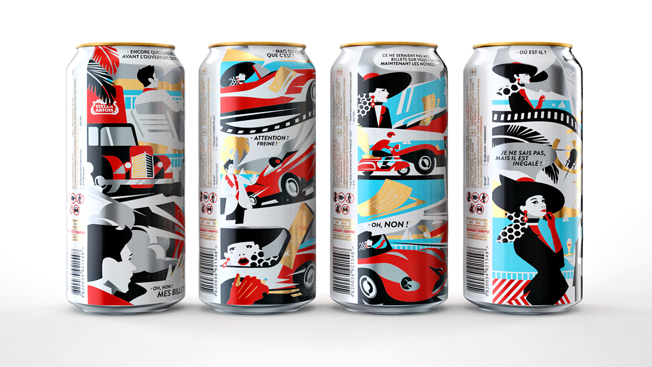 The case study provides Film Festival ambiance and explains the cans in more detail. Each story is told in French, and is filled with clues that will encourage deep, beer-lit examination of their containers. One of the sites, VIPsecurity.com.ua, gives you the option to hire strongmen whose knowledge set can include "English," "French" or "abuse" (decidedly a language all its own). 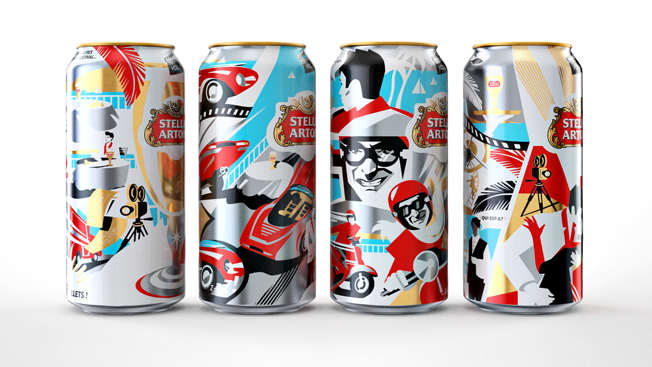 Each site drives people to the Stella Artois Ukraine website, where you could win Film Festival tickets (already claimed, sorry) and, after a painstaking submission process, watch a video. We never got that far, because that form was horrid. But we did find the video, which you can check out below, assuming you read Ukrainian better than we do.